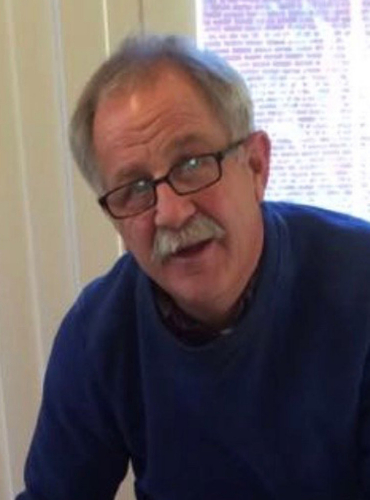 John Joseph "Jay" Adams Jr., 67, passed away peacefully on Tuesday, March 26, 2019, surrounded by his loving family. Born in Pottsville, Feb. 4, 1952, he was a son of Dolores Wolfred Adams and the late John Joseph Adams Sr. In 1968, Jay was crowned prom king alongside his high school sweetheart Jean John, whom he went on to marry in 1971 and had two daughters. Jay worked in the car business for over 40 years before retiring in 2017. There was not a car out there he could not sell and always had a "Pappy Jay Special" available for you. He was an avid lover of dirt stock cars, owning various cars throughout the years. The friends and memories made at the local tracks in Pa., N.J. and N.Y. will be cherished forever. Jay was a prankster and a jokester and was always good for a laugh. He enjoyed many vacations with both family and friends. Jay also enjoyed showing horses in his younger years alongside of his uncles and cousins. Jay was an avid Eagles fan and attended many home games with close friends and family. In his spare time, Jay loved visiting with his great-nephews and -niece Knox, Kruz and Luna Kehoe, all of Williamsport. Jay is preceded in death by his granddaughter, Brittany Lynn Adams-Rutherford, in 1990, and his father, John Joseph Adams Sr., in 2000. Surviving, in addition to his mother, is Jay's loving companion of 27 years, Mary "Missy" Porter, Schuylkill Haven; his daughters, Jody (Adams) Rutherford and Gina (Adams) Thompson, partner of Melvin Fishburn, Pottsville; grandchildren, Jayson Thompson, Robert Thompson, Tyler Thompson, Briley Rutherford and Ally Rutherford, all of Pottsville, Porter Harrell, of Suwanee, Ga., Damian Porter and Luca Porter, of Lansdale, James Mickshaw Jr., son of Stacie Rohrbach, Pottsville; stepdaughter, Sherry Topper, wife of Gary, Suwanee, Ga., and stepson, Scott Porter, husband of Christine, Lansdale; sister, Deborah Kehoe, wife of Robert, Pottsville; brothers, David Adams, of Saint Clair, Richard Adams, of Schuylkill Haven, and James Adams, of Pottsville; his faithful dogs Sugar and Toby; many nieces, nephews, cousins and his "adopted children" Tara Centeleghe and Guy Ebert Jr.
A Celebration of Life service will be held at noon Saturday, April 6, at the Mount Carbon Fire Company, 122 Main Street, Mount Carbon. Relatives and friends may greet the family beginning at 11 a.m. until time of service. Interment will be at the privacy of the family. In lieu of flowers, the family requests contributions be made toward the memorial/burial fund c/o his daughters, Jody Rutherford or Gina Thompson, 836 Cressona Road, Pottsville, PA 17901.